The Gayatri Big Batching Machine, is a combination of small process to join small fabric rolls to big batch Material Handling For Process House. With year of experiance and number of installation, we confident to supply many possible process in one machine.It can make big batch fabric small rolls with additional equiptment like Conveyors, Anti - Weighing, Auto - Sewing Machine Operation, Inspection Table with Lights, Brushing and Beating Unit Material Handling For Process House, J - Scary with Plaiter and Big Batch output operation. This save lot of space, manpower, time and number of operation are possible in one go. 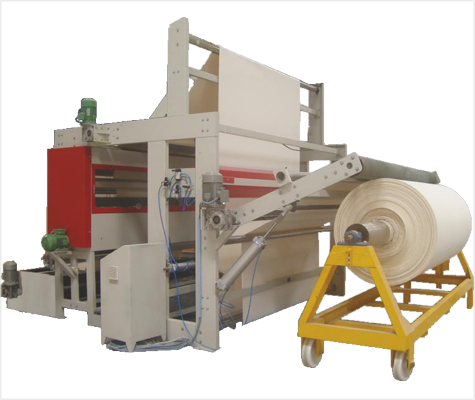 Simple roll to batch machine can also be supplied for fabric width from 150 cms to 600 cms fully Tailor Made Machine and allows to join any possible process in same machine Material Handling For Process House.